Comment: I have several (small) exterior wood trim repair and replacement projects. Comment: Two strips of siding were torn from facia above garage door during recent rain/wind storm. Comment: Looking to replace existing siding. Comment: I would like to get an estimate for getting wood siding repaired. Comment: I would like to get an estimate for repairing my siding. Please look at the property and the siding damage and give me estimates on repairing/replacing the damage. I will not be at the property but you are free to access the exterior and areas in question. Rockville Siding Contractors are rated 4.70 out of 5 based on 4,613 reviews of 58 pros. 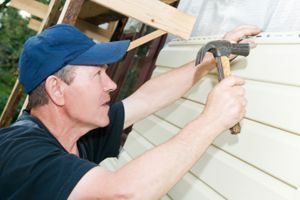 Not Looking for Siding Contractors in Rockville, MD?